A deployment diagram in the Unified Modeling Language models the physical deployment of artifacts on nodes such as hardware nodes, i.e. a web server, an application server, and a database server. It used to visualize the topology of the physical components of a system, where the software components are deployed. In other words, a deployment diagram is a diagram that shows the configuration of run time processing nodes and the components that live on them. Deployment diagrams consist of nodes and their relationships. The nodes appear as boxes, and the artifacts allocated to each node appear as rectangles within the boxes. Nodes may have sub-nodes, which appear as nested boxes. A single node in a deployment diagram may conceptually represent multiple physical nodes, such as a cluster of database servers. 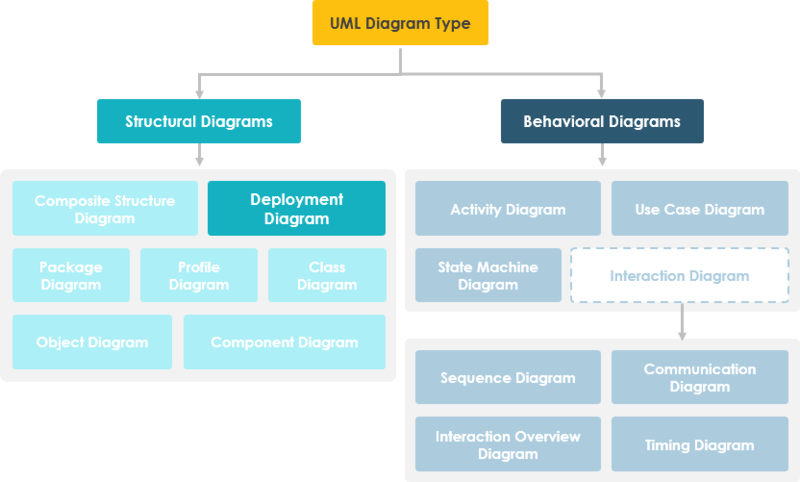 Deployment diagrams is a kind of structure diagram used in modeling the physical aspects of an object-oriented system. They are often be used to model the static deployment view of a system (topology of the hardware).